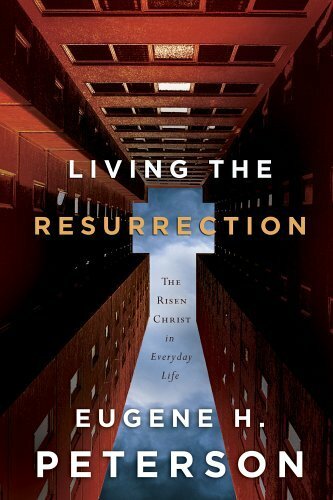 Bill, a blog friend of mine and owner of Bean Book Services, sent me a copy of Eugene Peterson's brief and very readable book Living the Resurrection: The Risen Christ in Everyday Life (NavPress: 2006). Thanks, Bill. It's no secret that I have been greatly influenced in my vision of Christian ministry by the person and writings of Eugene H. Peterson. Eugene, to my very happy surprise, wrote the Foreword to my book Jesus the Pastor: Leading Others in the Character and Power of Christ (Zondervan: 2000). The book unfolds in 3 chapters with an appendix of resurrection Bible texts from The Message. Peterson unpacks the meaning of Sabbath. Peterson unpacks the meaning of the Lord's Table. Peterson unpacks the meaning of Baptism. While the book is vintage Peterson, pulsating with his discerning observations about being Jesus-followers in a consumer-based, expert-ordered, self-centered culture, his best stuff, in my opinion, is his discussion of laypersons. "Smart Devil." "The Devil does some of his best work when he gets Christians to think of themselves as Christian laypersons. In the ordinary use of our language, the term layperson virtually always means not-an-expert. ... Following Jesus gives way to following Jesus-experts. ... I'm a religious consumer, that's true, but a consumer all the same--a soul condition deeply marred by passivity" (89, 91). Accepting layperson status is the grievous sin of "betrayal" (92). I appreciate Bill making me aware of this book and I hope you'll take the time to read it. I've read it John, and I agree it is vintage Peterson, and very edifying. It infused my Easter season preaching with fresh urgency and relevance. I also commend his new volume, "Eat This Book" which is absolutely convicting to those of us who consider ourselves biblical scholars. In a world where we have truncated understanding into a mental exercise, Peterson recovers the essential nature of discipleship as apprenticing our whole selves in becoming like the Master. Well worth it! I'm on my way to the bookstore...thanks! So when are you passing it around John? Thanks for stopping by. We're looking forward to your visit to Grand Rapids with the ECC conference. John, I was just travelling around the neighbourhood, checkin' out old friends...wonderful to have you back brother. Man, just reading the title is got me excited, and then add Eugene Peterson. Resurrection is not about us getting to the Kingdom...it's about getting the Kingdom " into " us. It's about now...it's as near as a beating heart.